The Civilization franchise has been enjoying success for over two decades now, and the latest entry in the strategy series has surely been keeping gamers awake into the early hours of the morning, in order to play “one more turn” and go for that elusive space race victory in the game. It’s clear that Civilization VI is a great strategy game, and arguably the best in the series to date. And as was the case with its predecessor Civilization V, developer Firaxis released an expansion pack adding new features to the game this February, and now another expansion titled “Gathering Storm” is on the way. This expansion will add 9 new civilizations to the game, and Firaxis recently released a preview video showcasing the first of these, Canada. 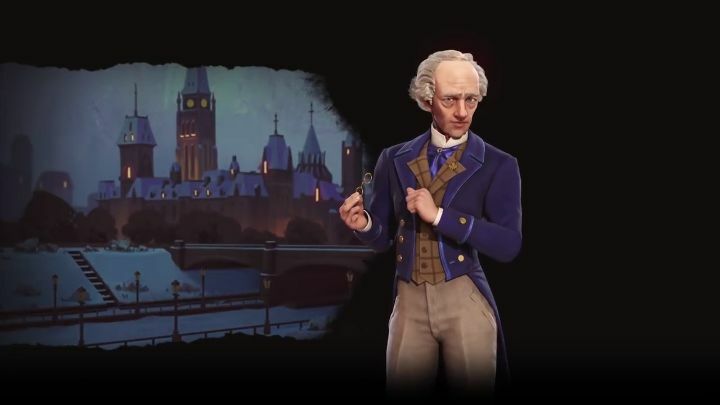 According to the preview video below, Canada will have an advantage in the game when it comes to icy terrain, as this civilization (which is led by Wilfrid Laurier in the game) is able to build farms on tundra tiles, something which the other civs in the game can’t do. This means you’ll be able to take advantage of the sort of terrain other civs can’t when playing as Canada in Civilization VI, while Canada’s unique building in the game is also interesting. The Ice Hockey Rink not only provides amenity points (which keep your population happy in the game) but later on will also add food and production to the city, meaning you’ll want to get on with building these as soon as possible in the game. Canada also has an ace up its sleeve when it comes to war, as it cannot be the target of surprise wars. This added to the fact that Canada can thrive on tundra terrain means that playing defensively and going for a cultural or diplomatic victory with this civ is a very real possibility in the game. You can still win via conquest though, especially if you take advantage of Canada’s special unit, the Mountie. This receives bonuses when fighting next to National Parks (especially those owned by Canada), and will help keep your enemies on their toes in the game. All in all, it definitely looks like Civilization VI’s Canadian civ could be a lot of fun to play for those still enjoying Firaxis game, so here’s hoping the upcoming Civilization VI: Gathering Storm expansion lives up to the hype when it’s released early next year.